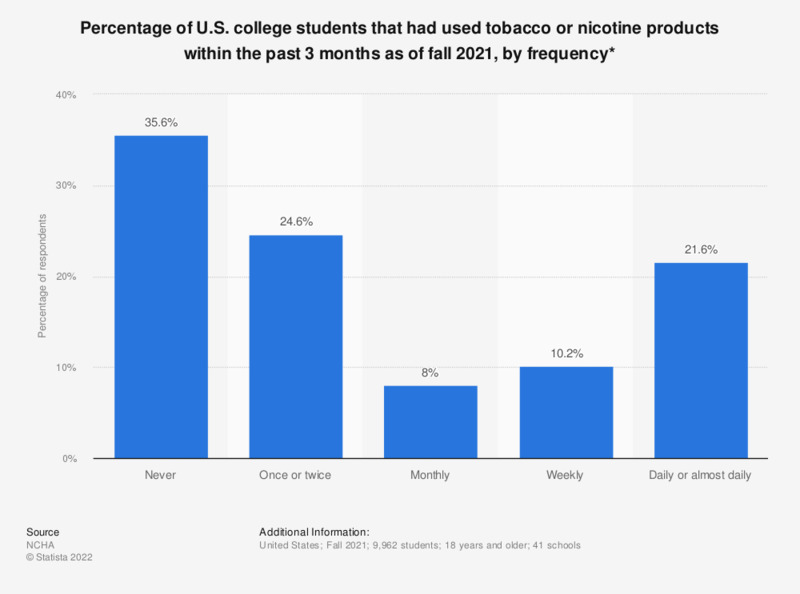 This statistic presents the percentage of college students in the U.S. that had used cigarettes for a select number of days during the past 30 days as of fall 2018. According to the data, 1.4 percent of respondents had used cigarettes daily during the last 30 days. Original question: "Within the last thirty days, on how many days did you use: Cigarettes?"